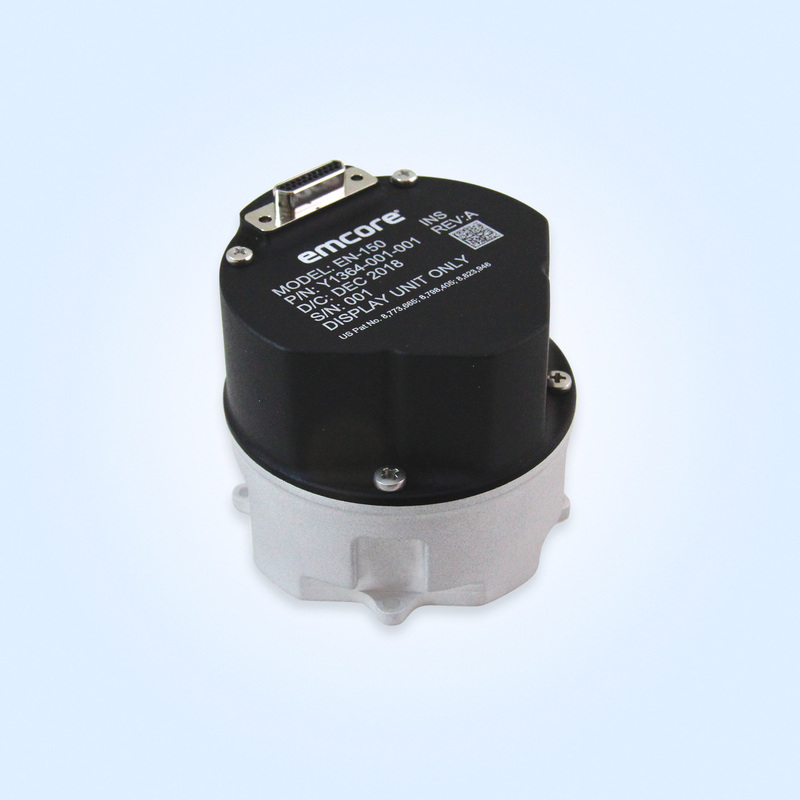 EMCORE’s EN-150 Precision Fiber Optic Inertial Measurement/Navigation Unit is smallest, most affordable FIber Optic Gyro-based Inertial Measurement Unit (IMU) available today. The EN-150 is a higher accuracy inertial system that is one-third the volume and weight of a legacy RLG-based IMU product with better performance needed for GPS denied navigation, precise targeting and line-of-sight stabilization. The EMCORE EN-150 is a state-of-the-art design incorporating EMCORE’s proprietary integrated optics devices to enhance performance, providing up to two-times better performance than competing IMU systems. The internal signal processing provides standard IMU output and options for full stand-alone or aided navigation. The EN-150 provides lower noise and greater stability than competing IMUs, and with the option of full navigation capability, includes coning and sculling compensation and sophisticated Kalman filtering.